The Centenary of the Great War has brought to the public mind the names and lives of many who served and died in the battlefields of Europe and beyond. 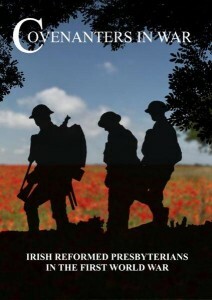 The stories of Irish Reformed Presbyterians in World War One were recalled by Rev Drew Gregg for a series of recent articles in the Covenanter Witness. This colourful and updated booklet has collected these accounts to challenge the heart afresh a century on. We hope that this will be a lasting memorial in your home to these men, being encouraged by their bravery and devotion and remembering the loss to their families and the Church. This book has been written by members of the faculty of the Reformed Theological College, Belfast and was released at a special commemorative conference held on 31st October in Cullybackey RPC. 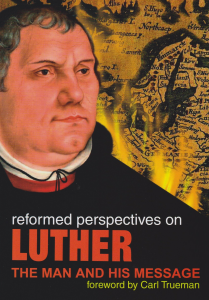 The book accompanies the conference addresses and includes 3 further contributions to give an accessible way to understand Martin Luther, both the man and his message. Does Christ’s Kingship have a bearing on domestic, church and national life? On how we are governed, witness and worship? The topic of Christ’s kingship goes to the heart of Christian hope in the present Kingdom and the fullness that will confirm our faith. 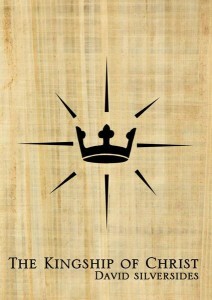 This book by David Silversides will encourage devotion in the service of Christ the King. The fact that many people either don’t know or understand that there is a Man, the Son of Man, in heaven who is exercising His absolute rule over everything, is astonishing. That many Christians are largely ignorant of the nature, extent, and goals of Jesus’ meditorial Kingship is surely not healthy either for the church or the nation. David Silversides knows this Son of Man, and in this booklet he clearly and succinctly outlines Christ’s rule over all things. Reading it will both inform and challenge. 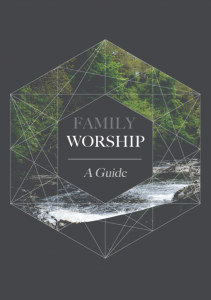 This booklet, republished by the Reformed Presbyterian Church of Ireland, is aimed at providing instruction and guidance to Christian households on the subject of Family Worship. It provides both the Biblical foundations and also sound counsel as to how to start (and maintain) such a practise. Ideal for newlyweds or new parents, all husbands, wives, parents and grandparents should find this to be a helpful resource. First published in 1990. Revised and updated in 2016. Digital reproduction of this classic work by Thomas Houston. 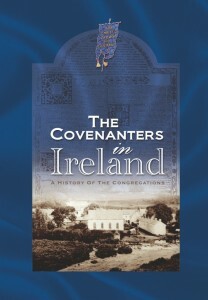 This book connects the people of the historic Reformed Faith with their spiritual descendants in Ireland. The story takes us from the Scottish Reformation to the signing National Covenant of 1638and Solemn League and Covenant of 1643, to ‘The Killing Times’ of 1684-1688, and through the Williamite Revolution to the present day. The story which has deeply affected the religious and political development of these islands, continues to the present day. 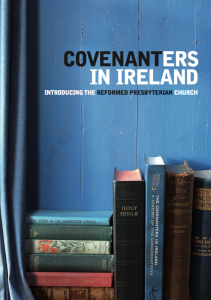 This definitive volume has brought together the histories of each of the Reformed Presbyterian congregations in Ireland along with the history of RP missions. 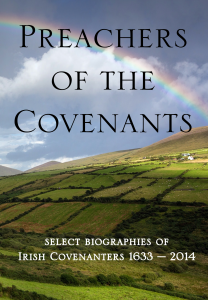 Of great importance is the inclusion of the ‘Fasti’ a brief biographical sketch of all Irish Covenanter ministers who have completed their earthly service. Here is recorded the movement of the Spirit of God among a people over more than three centuries of distinct Covenanter witness in Ireland. Clark Copeland was born in 1915 in Kansas. 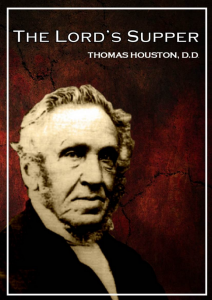 After serving, ﬁrst as a teacher, then as director of the American Academy in Cyprus, he returned home to work as an ‘evangelist at large’ with the Reformed Presbyterian Church. He served brieﬂy as a pastor before becoming Professor of Biblical Studies at the Reformed Presbyterian Theological Seminary in Pittsburgh from 1962-89. 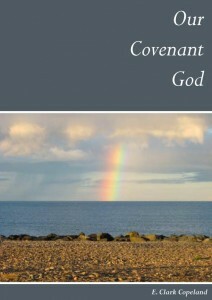 This book is a tour through the rich tapestry of scripture’s great theme of God’s Covenant – a theme he loved to set before his students, revealing it in all its multi-faceted wonder. Born into an upper-middle-class French family, John Calvin emerged as one of the most important and influential figures of the reformation. Indeed, some historians say, he is the most important. 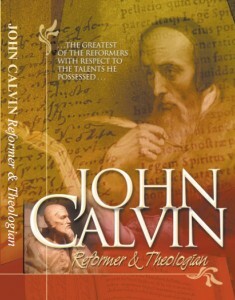 If Luther sounded the trumpet for reform, it was Calvin who orchestrated the score. In this film we visit Geneva and its new modern Reformation Museum. We hear opinion on Calbin from England, Ireland, Scotland and America; and we consider how Calvin’s ministry changed the whole western world.